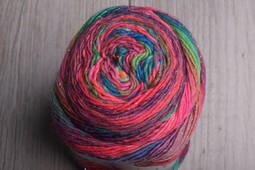 A soft, colorful blend of superwash wool & nylon that is ideal for socks & shawls. Luxe takes original Mille Colori & adds a bit of sparkly shimmer. Life is too short for white socks! Enjoy how the colorways fade from one color to another.